Antonio is seventy and lives in Florence, Italy. Blind since birth, his professional life has included several careers in supporting the blind community, particularly as a music teacher at the local school for the blind. For the last years, Antonio has been involved in what he calls “school inclusion” and gives university lectures to prospective resource teachers. 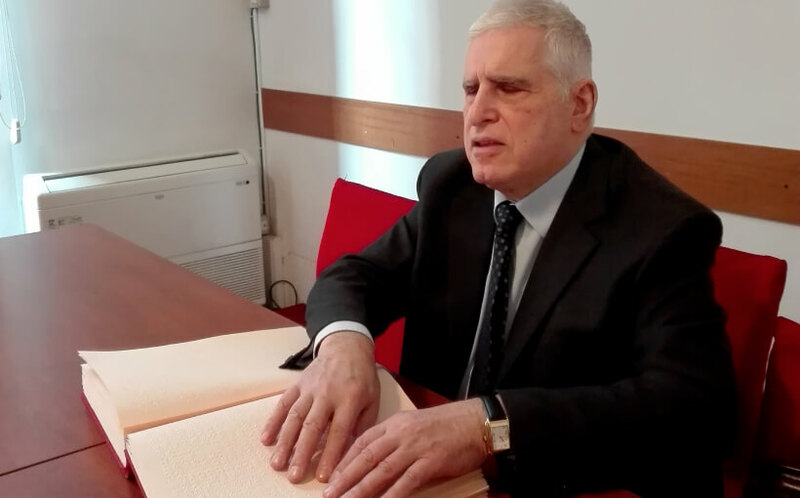 Today, he holds the title and position of president of the Tuscany branch of the Italian Union of the Visually Impaired. I often say to my students that the difference between 'different ability' and 'disability' is the right help. That is, help at the right time in the right way, and Be My Eyes makes the difference. Be My Eyes is Antonio’s go-to resource when using his computer, or when his TV isn’t working, he also uses the app to solve the problem with a volunteer. “I didn’t want to bother a friend or a neighbor”, he says. The pair relies on their sighted neighbors and friends at times, but Antonio has always been open to finding new ways to be more independent. He explains, “technology is a solution to independent life … but it also becomes a real barrier”. When Antonio and his wife, who is blind as well, learned about Be My Eyes in 2015, he was enthusiastic about the idea, because it offered an opportunity to receive help in unpredictable situations. Another time Antonio recalls being “lost and a volunteer helped [him] get out of the tunnel,” was during a cold winter in Florence. It was very early in the morning and Antonio’s central heating was not functioning properly, so he picked up Be My Eyes. I wish I could help the volunteer on my turn and be useful to him or her like [they have] been useful to me.